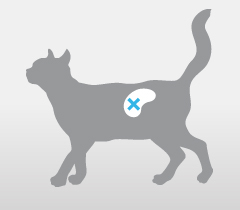 If you are one of the many pet parents with a pet impacted by kidney disease, IDEXX SDMA testing can still help. In fact, the International Renal Interest Society recently changed its guidelines to suggest that SDMA testing be used in conjunction with standard methods to stage the disease and determine the best course of treatment. and give your pet the best chance for a long, happy life.